I have talked about my fascination for Inq28 in many of the past articles and even some reviews, but as not everybody might be familiar with it, I'd like to explain what it is and where it came from. 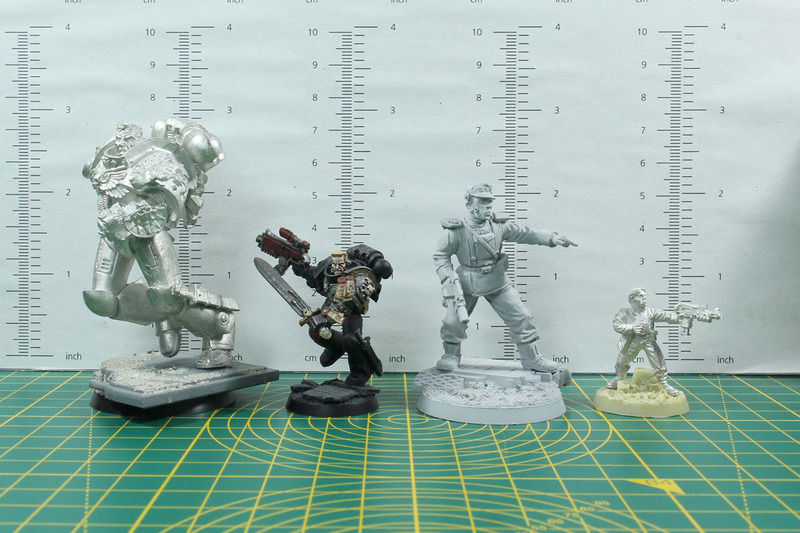 Inq28 is short for Inquisitor 28, meaning Inquisitor in 28mm scale. 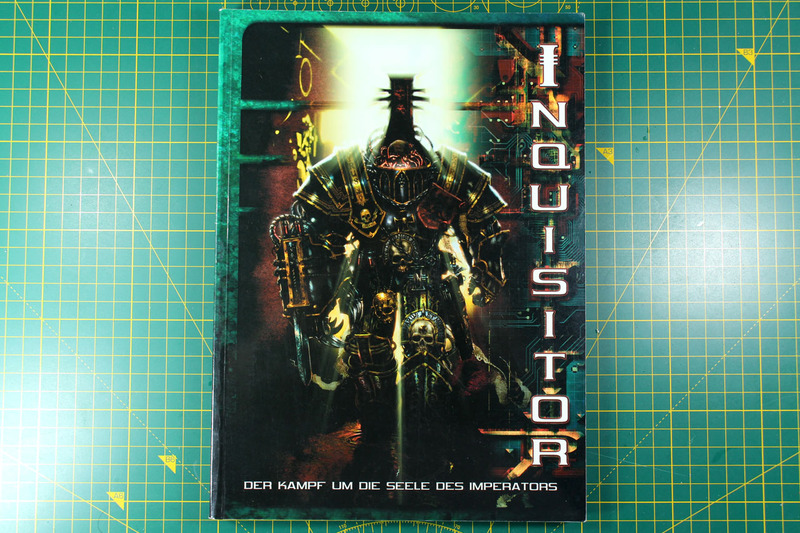 Inquisitor was a roleplaying miniature game released in 2001 by the Games Workshop subsidiary Specialist Games, a company founded as an umbrella for all the non-core games (Blood Bowl, Epic, Necromunda and so on) published by GW. 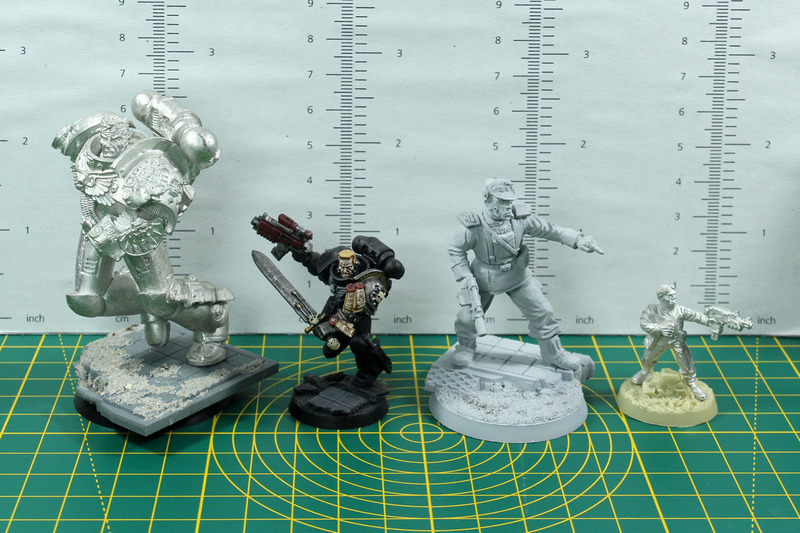 Other than the other games, Inquisitor went with a 54mm scale, and focussed very strongly on the individual characters. 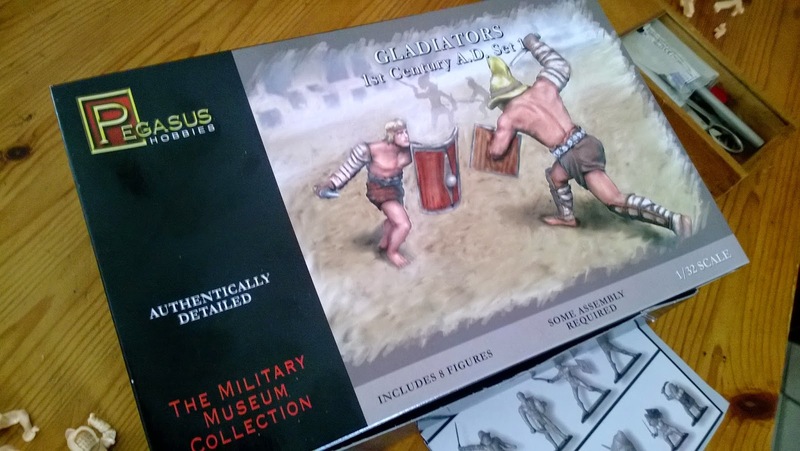 For Inquisitor was a softcover rulebook released, and often bundled in a starter kit with two of the 54mm scale miniatures and a pair of D8. 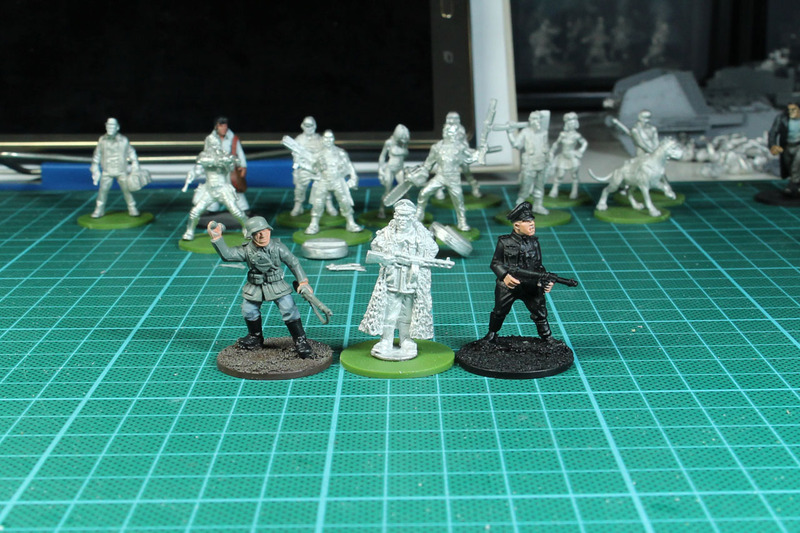 To give you an idea of the scale, here's a brief comparison of the Artemis and an Imperial Soldier in 54mm next to similar miniatures in 28mm. The 28mm Artemis is a conversion, made by myself in 2011, long before he got a official model with Death Watch Overkill in 2016. 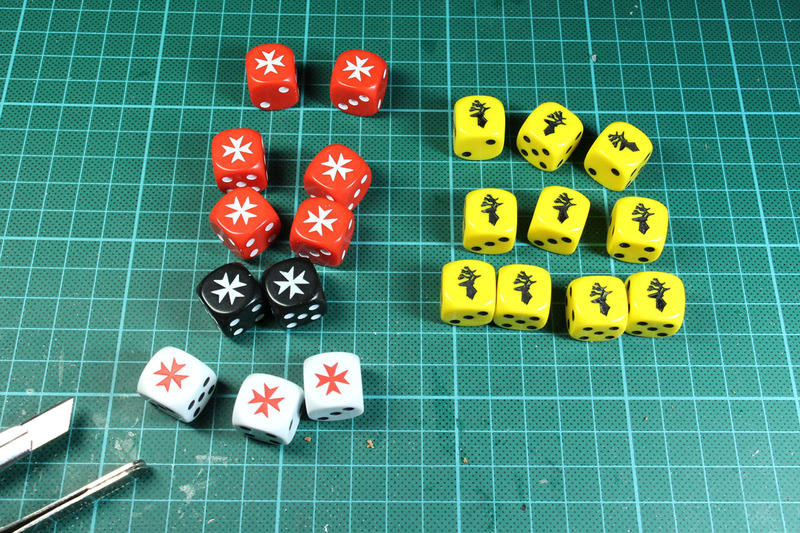 As Inquisitor did not really cover point values and it was advised to use a game master, it relied strongly on the role playing and narrative component of the idea. It was non competitive, and the larger scale opened up new opportunities, but was the games major problem on the other hand, as you would require a complete new set of terrain, that would work with the larger scale. 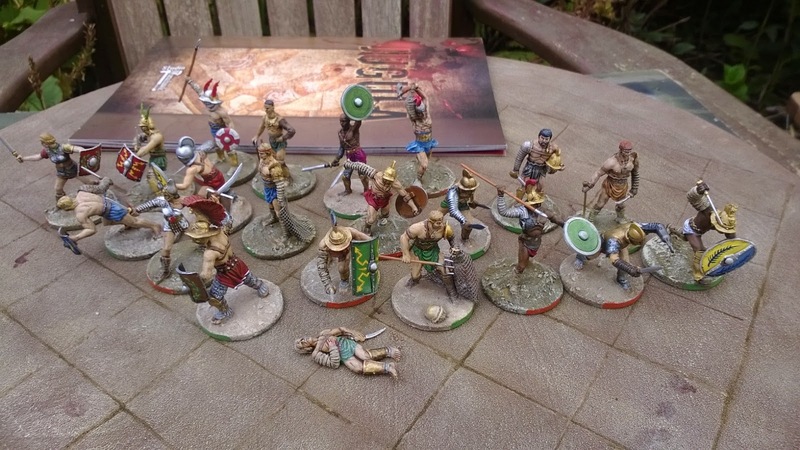 As the rulebook covered a lot of great artwork and most player were already within the Warhammer "circle" and owned at least a couple of miniatures from the Warhammer 40,000 range, people stayed with the idea but converted it into the already used 28mm scale. Therefore Inquisitor 28, or short Inq28. 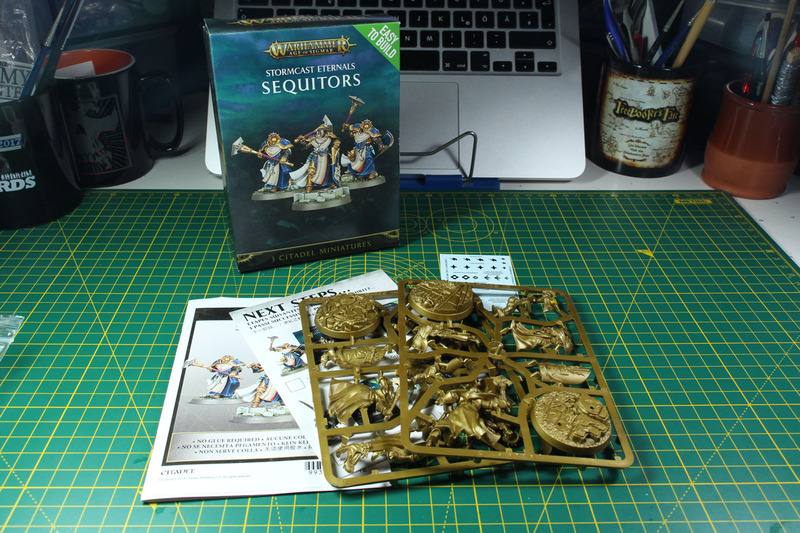 This is a conversion based upon the Easy-to-Build sequitors, that I bought at the opening of the local Warhammer store. 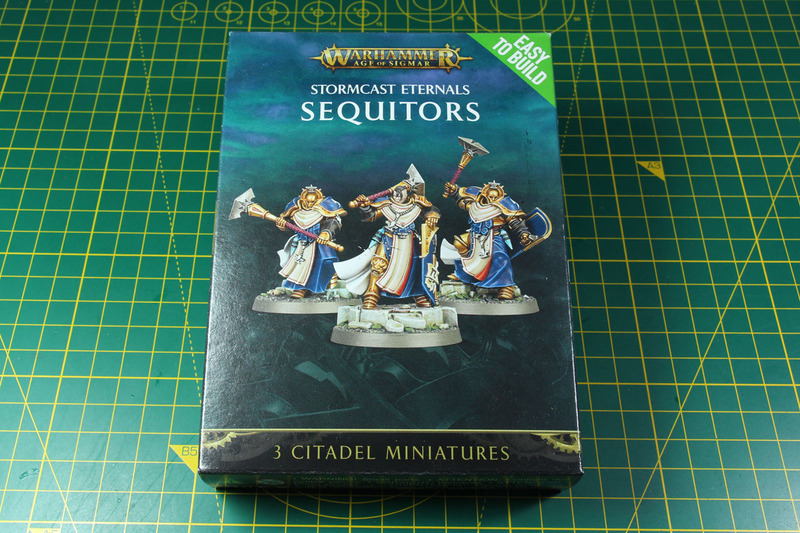 The sequitors are an incredible good deal at 3 for 12 EUR, very characterful large miniatures. The sprues are pre-coloured in a bright gold. I seperated the pieces I need, from the Sequitor prime. She even comes with two different head options, one helmeted and the other one without but a very prominent undercut. 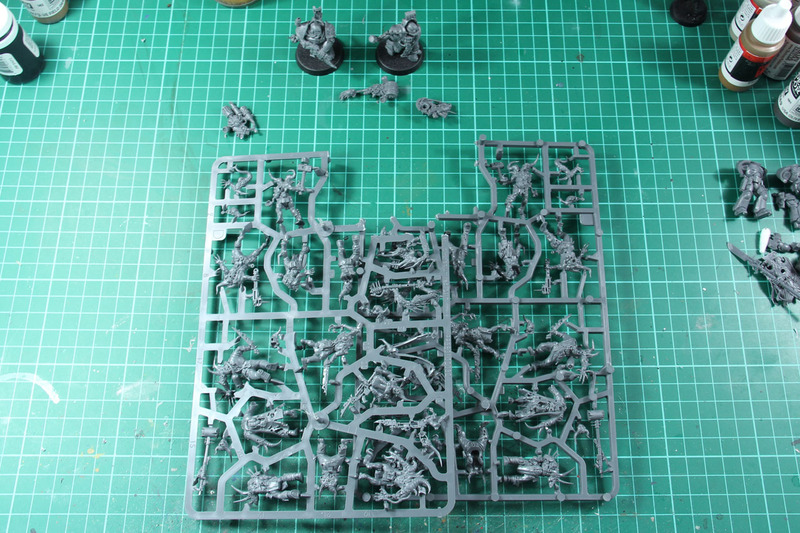 The new Warhammer 40,000 Set Dark Imperium was released recently and I split the box with a few people, keeping two Death Guard Plague Marines, the twenty Pox Walkers and a handful of Primaris Marines for myself. For this article, I want to keep the focus on the followers of the great father Nurgle. 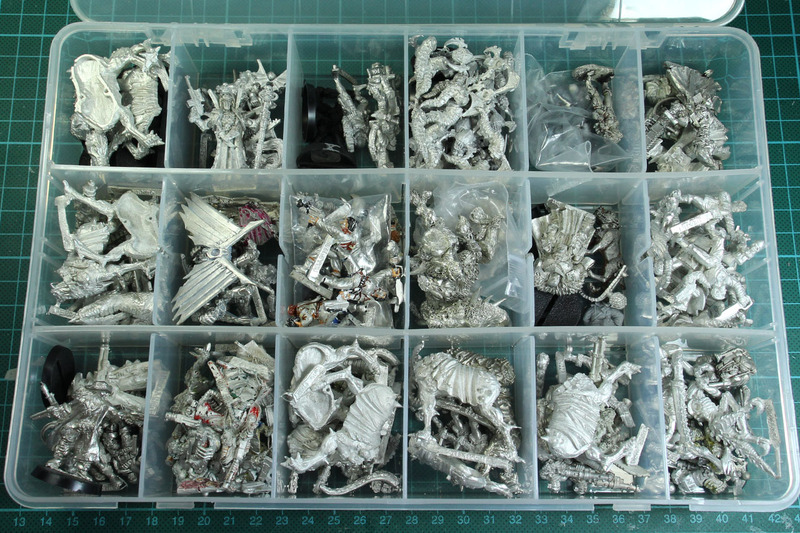 The Pox Walkers have their own sprue, which is included two times in the set (basically giving you two sets of 10 each) and the body of a Death Guard Plague Marine. I went with the Plague Marine 8a and 8g. Here we are, Christmas is coming closer and i want to show you the next three picks from my pinterest board. 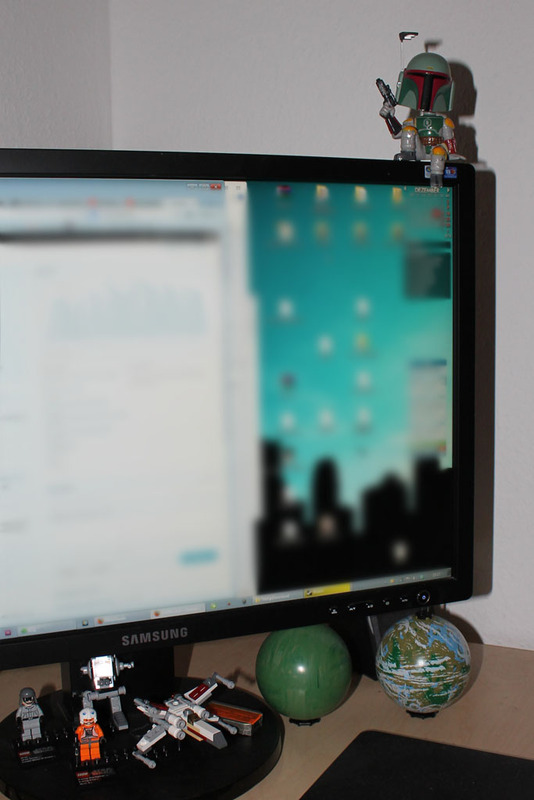 Let's begin with Pijlie's Wargames Blog, a dutch neighbor. 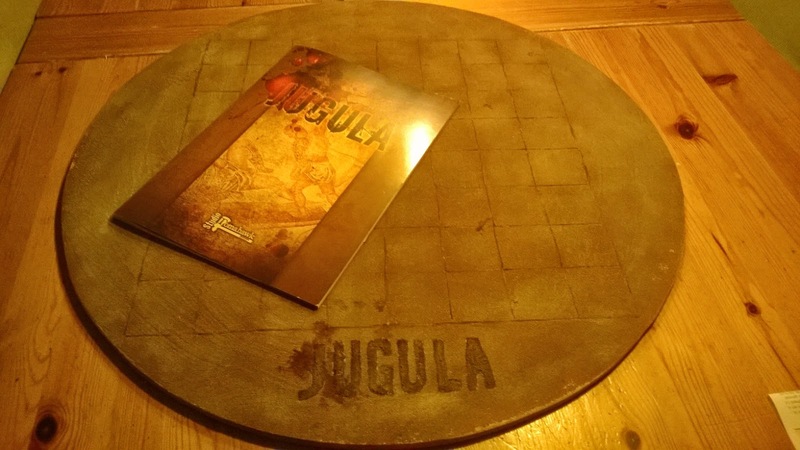 His Jugula project was the one, i found first and other ongoing projects are not less interesting. 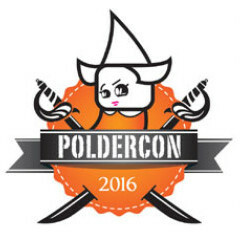 So beside the 1:35 gladiator set-up, that i follow as well with the same miniatures, you'll find awesome paintjobs, Frostgrave and nice tours, among others in Berlin. 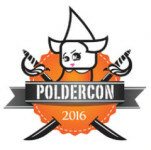 If you want to get a closer look on those miniatures and maybe meet a few of them in person, pay a visit to Poldercon in Utrecht, NL, on 7th February 2016. As promissed a small view into what was going on in the last few days. 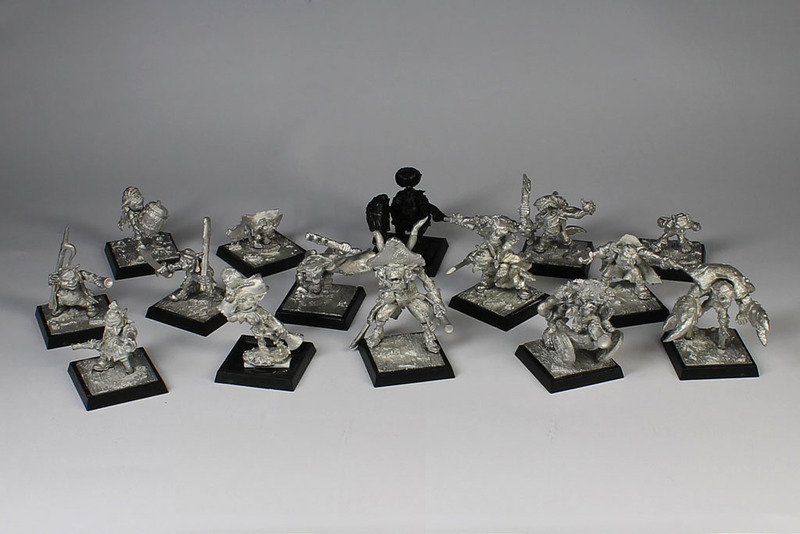 First off all, the freebooters fate goblins are completely build. No easy thing to do, as some parts just needed to be pinned. 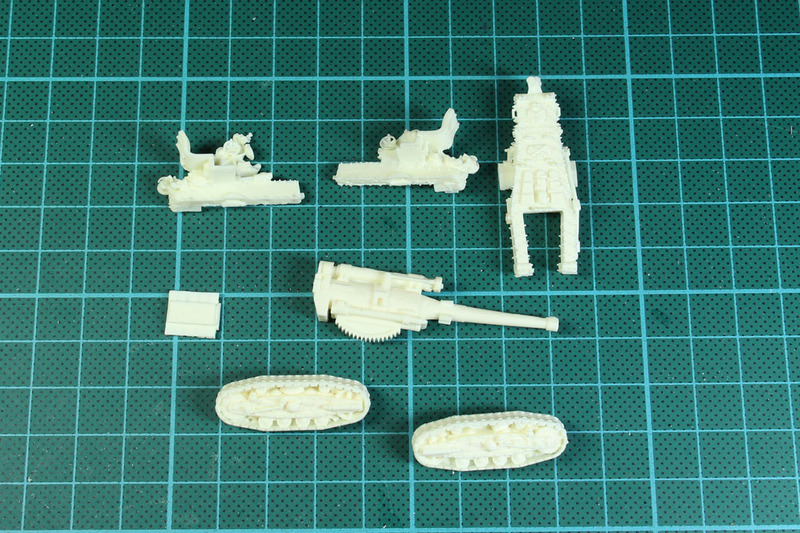 The casting quality is amazing, without any doubts, but many of the parts that needed to be glued are incredibly tiny and frustrating to assemble. Merry Christmas everybody! Frohe Weihnachten zusammen! I was really looking forward to post first pictures of what i was doing earlier, but there has been an evil thief that stole my time. This thief is called steam and is having a Winter Sale, with incredible bargains and deals. And due to the extreme amount of savings, i felt for some of them. My vacation has now officially started, its thursday morning and there is a long list of to-dos for three and a half weeks of time. What is the starting situation? 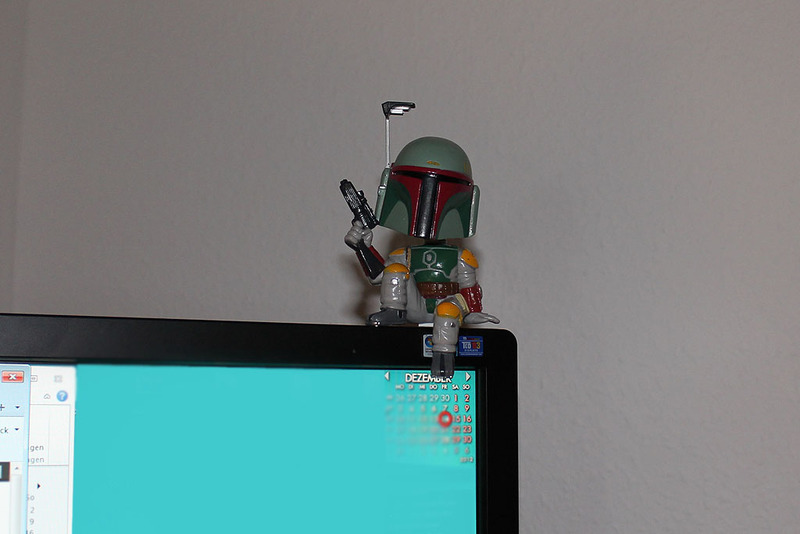 Well, first of all, i got some support with another Boba Fett, who's sitting on my monitor. He complements the star wars theme with the two lego flyers, the x-wing miniatures game and the Boba Fett dice holder (you remember? ).